Our friend Deming spotted my misspelling of “Tenterhooks” (tenDerhooks–I put a D for T) in this morning’s post (Testing times) and did some research. Intrigued, I went on the hunt for info myself. The phrase on tenterhooks first appeared in the 18th century novel Roderick Random by Tobias Smollett. Ever wondered where the phrase ‘on tenterhooks’ comes from? Once woollen cloth has been woven it needs to have the natural oils present in wool washed out. 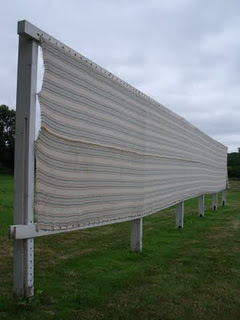 After the cloth has been washed it needs to be stretched over a frame so that the cloth dries straightened, uncreased, in a uniform fashion: ie so that the width of the cloth is consistent throughout its length. 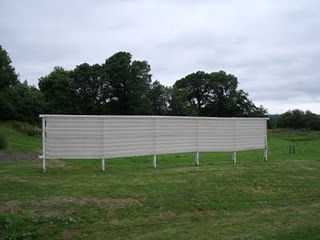 In times gone by, it would have been a common sight in areas where woollen cloth was produced to see fields full of the wooden ”tenter’ frames with wet cloth stretched and held in place by the metal hooks, drying in the air. Laura took these pictures at the National Wool Museum in Wales. Tendere the Latin word to stretch is the clue to the metaphorical meaning that’s evolved-–to feel stretched with anticipatory anxiety. I spy a D in there, so I’m having the last word. I like the word TENDERHOOKS anyway and may go on using it! 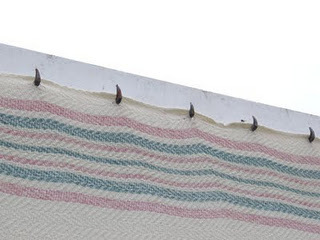 I never new what tenterhooks were, just figured it was something archaic. But “tenderhooks” sounds good too. Perhaps it’s origin will be traced back to you some day. I noticed that spell check has it as tender hooks and tender-hooks; I don’t know what these two terms mean I’ll have to look them up. My neighbors have sheep and they send their wool all the way to the East Coast for processing. I think it is their dream to be able to process it close to home. The National Wool Museum looks like a good research resource and I have bookmarked it for later. It’s kind of a dream around here to have more local industry. on January 24, 2012 at 7:51 am | Reply Caroline P.
TenDerhooks souds like Elvis “Love me tender”. Tenderhooks to stretch cotton…huh? I prefer tenterhooks! I had spotted the error but thought twice about letting you know because some people dislike being corrected. 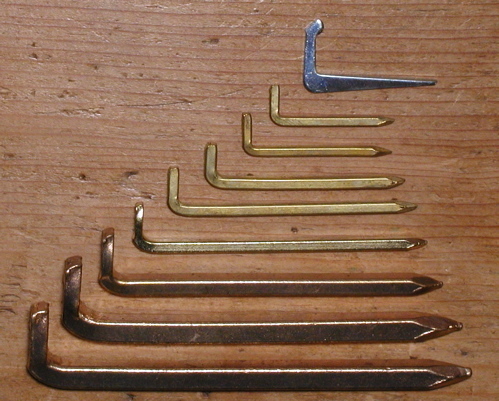 As I come from Wales (a long time ago) I know about Tenter hooks. I read right past the “d” – never noticed the error. But I was delighted to learn the origin of the word. The image of fields of cloth stretched on tenterhooks made me think of the artist Christo and his beautiful installations. 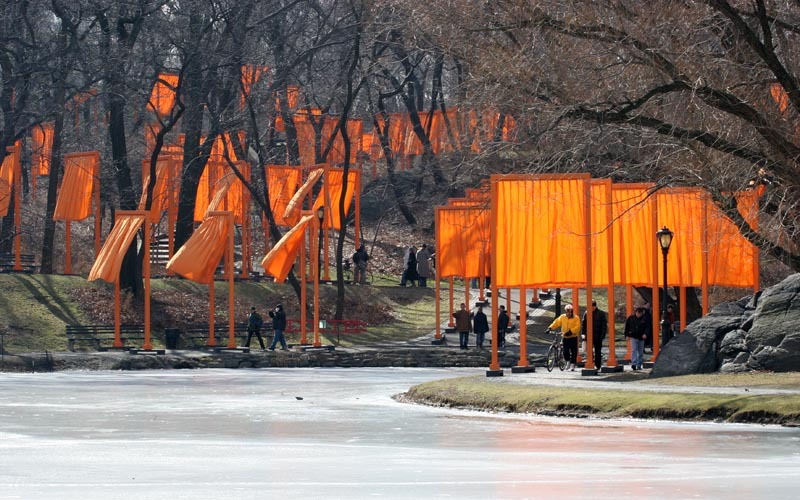 I don’t know whether this link will work, but I may post it on Facebook as well – this is a photo of “The Gates” that he did in Central Park. Odette I believe that the letter “D” is the correct and logical way to use it as we are talking of stretching. “Tendere” is in Latin and in another Roman language – French is “etendre” – to stretch out or being stretched out “d’etre etendu(e). on January 24, 2012 at 6:02 pm | Reply Melanie O.
I love learning about the etymology of words. Makes them so much more meaningful. Now, if I could only spell them all correctly! Have you come across the recently published book, The Etymologicon, Robin? It is an amusingly written book exploring the surprising links between words. Tenterhooks, as far as I remember, is not in it. The author, Mark Forsyth, blogs as The Inky Fool. He is a compulsive ‘wordman’. Good luck for your forthcoming eye test. I haven’t but thank you. I feel I ought say hello! I’m the Laura Thomas who wrote about the tenterhooks…… and I’m also diabetic (type 1). I think I shall enjoy reading your blog…..